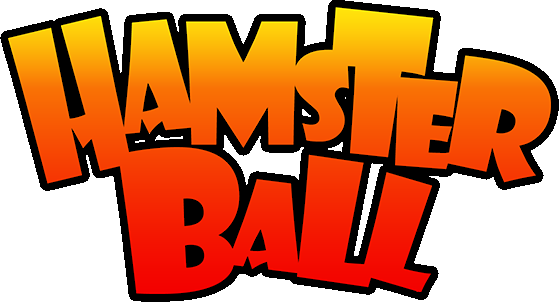 The Dizzy Race is the fourth race in a Hamsterball tournament. As its name says, it is predominantly made of dizzy parts, like rotating platform, spiral downhill. Tar pit and tarbabies, blockers make a debut. Dizzy Race starts with a spiral downhill, after that, there is a tube and a small descent. Pass through rotating platform (recommended at high speed), one more spiral and you will face blockers (see Hazards section), go through them carefully, proceed to the tar pit. If you fall in pit,it will take a lot of time to reappear. Tarbabies are time-consuming too,so try to avoid them. Advance to the watermill and carefully finsh the race. Dizzy Race is colored in green and white colors. Small Parts are deep green. Thanks to CrashTeamRacing8191 for letting to post this. Blockers/Clickers/Foldups (parts of the path that tilt up to stop you). At the tar pit, go to the path that takes you around the pit. Go through the rails and carry on through the hidden route to the lock. Dizzy Arena is now unlocked. See Gallery for location image. It is unknown about Tar pit status (is it an enemy or an obstacle). Blockers, because of their clicking noise, are sometimes named "clickers". MrMenCentral refers to them as "Foldups," which originated when he said, "Hey, what's the Foldup?" when blocked by one. Dizzy Arena features a rotating platform, similiar to one in the Dizzy Race.